Wrangler Europe is teasing its autumn/winter range of jeans with a simple but striking outdoor and social campaign. We Are Pi created the ads, which contrast pictures of something awesome with something lame – eg. 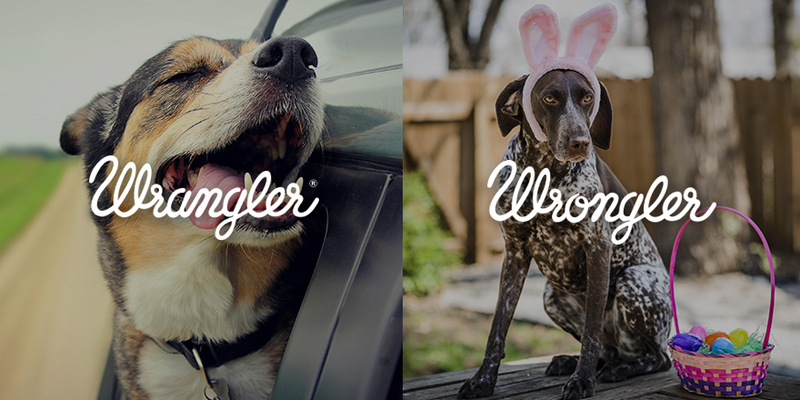 a wolf and a wolf rug – below the strapline: "Wrangler vs Wrongler." The campaign proper sounds slightly more earnest, as the agency promises to "motivate people on how to lead a better life by giving customers a lifestyle choice, the Wrangler way…" The work was created Kaz Salemink, Nessim Higson, Rick Chant and Barney Hobson.